They are the winner of the Small Business, Big Impact Award and the $20,000 grand prize. Create sustainable communities in remote and underdeveloped parts of the globe by providing educational, economic, and medical infrastructure and training. 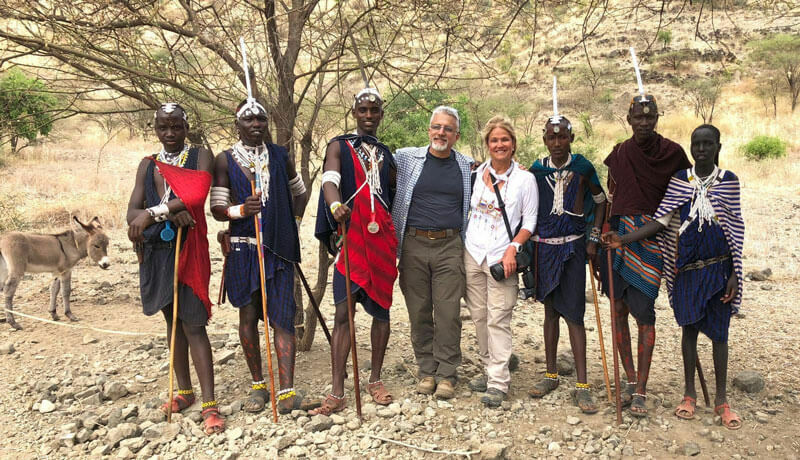 Our work started in a remote Masai village named "Joel's Village" along the northern shores of Lake Natron straddling Kenya and Tanzania. Joel's Village is extremely isolated and lacks basic necessities including clean drinking water, shelter to keep out the elements and wild animals, access to food, medicine, doctors, and teachers. In 2017, the village featured only a small structure constructed with sticks that served as a school for twelve students who practiced handwriting and arithmetic using only twigs and rocks. Because water is not available in the village, villagers would need to collect it from local streams on foot. Additionally, the village lacked electricity so kerosene lamps were used for lighting in spite of known health risks. Within one year, we have built a new school building and provided uniforms and supplies for 93 students. We installed a solar panel which powers LED lights across the village including the school and pens where livestock is kept. Namanyak has also installed a pumping system to draw non-potable water from a local stream for crops and livestock. Currently, villagers have to walk half a day to reach the nearest medical clinic, which makes medical care practically impossible. The clinic is the last major infrastructure project needed in Joel's village. Once it has been established, Namanyak will be able to focus on sustainability by training villagers about drought-resistant crops and agricultural practices, training more teachers, and increasing villagers' financial self-sufficiency through businesses like cow trading.